Digital Advertising refers to the process of selling advertising space on digital mediums such as websites, blogs, social media platforms, digital magazines, and any other digital properties. Digital advertising is an area that has undergone considerable evolution since its inception. Today, digital advertising includes a range of advertising options like banner ads, google search ads, retargeting ads, flash ads, mobile ads, video ads and social media ads. Banner ads are usually positioned at the top of a web page, on the side, or sometimes even below the fold. 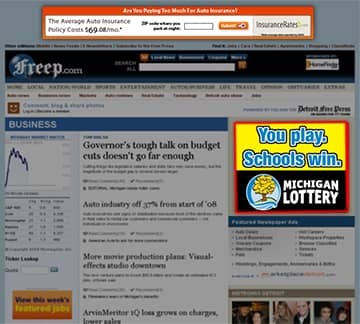 Publishers often display banner ads which relates to their on-page content. Google provides a pay per click (PPC) search advertising service which displays ads when users search for a particular term. Retargeting lets digital advertisers target those people who have previously visited their website. This way, advertisers can place ads on other sites that can bring the visitor back to their own website. Flash ads are similar to banner ads but they differ in design. These ads use flash design which contain some interactive elements which encourage the visitor to click that particular ad. Today, flash ads are not so common. With so much content being consumed on mobile. Mobile ads can vary in type from full screen popovers to banner ads that blend seamlessly with the publishing site’s mobile design. Popularity of Video Ads are Increasing day by day. Many publishers place these video ads in sidebars or at the bottom of the web page. Social media sites like Facebook and Twitter provide advertising services where attractive ads are displayed as per the viewer’s preference and interest. 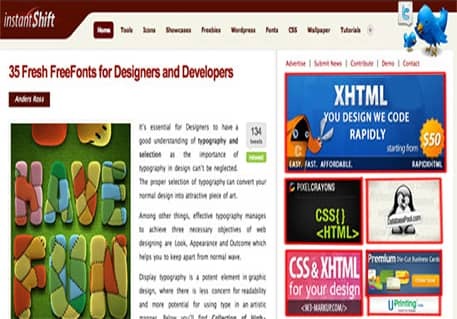 Web banner is a form of online advertising through banners. Web banner advertising is also called display advertising because of the visual nature of web banner ads. The purpose of web banner advertising is to promote a brand. The web banner ad can take the visitor from the host website to the advertiser’s website or a specific landing page. You can start a web banner advertising on different websites and with Google Adwords. Web banner ad or a banner ad is an advertisement displayed into a web page. The advertisement consists of an image (.jpg, .png, .gif) or of a multimedia object (usually created using flash or HTML). Web banner can be static or animated, depending on the technology used to make them. Static web banner ad can be a simple image or a visual that is acting just like an ad but when you can click on it and get to the website or landing page of the advertisement. Animated banner ad or web banner ad is a type of digital advertising that is delivered by an ad server. The purpose is the same as the one for the static banner ad i.e. to make the user click on it. Display advertising is a type of online advertising that comes in several forms including rich media, banner ads and more. Unlike text-based ads, display advertising relies on elements such as images, video and audio to communicate advertising message. Display advertising formats as banner ads, video, rich media and sponsorship will account for the largest share of digital ad spending Display advertising are intended to generate traffic to a website by linking to it. Web banners can function to notify about a new product, increase brand awareness and so on. However, most web banners are clickable and their main function is to get clicked on it. Online banner helps you to create brand awareness so people can easily recognize your product or service. Many top brands use online banner ads to grow their business. Online banner lead generator is a great way to build your users base. If somebody came on your website but didn’t sign up on your newsletter or didn’t try out your product you can retarget them with banner ads. Generally, online banner as are placed in high traffic websites that offer interesting or useful content. One advantage of the online advertising over the traditional one is that its effectiveness can be easily measured. When you browse across the Internet it’s likely for you to encounter all kinds of banners in all kinds of sizes. Lucky for us, there are some standards too. And their role is to reduce the amount of work for agencies when faced with the problem of creating many banners and similar sizes for different publishers.